The best meatloaf recipe topped with a sweet and tangy glaze. Learn how to make a meatloaf from scratch that’s fork-tender and juicy by adding a panade. For maximum flavor, the beef is mixed with breadcrumbs, garlic, onions, celery, parmesan cheese, and savory seasonings, then baked until golden brown. Meatloaf is all about easy weeknight meal preparation and comfort food satisfaction. We’ve all grown up with our own versions that our parents used to whip up to feed the family. I’ve taken a classic meatloaf recipe and used simple pantry ingredients for convenience while boosting the flavor and juiciness of each serving. When on a budget, using ground beef can create a tasty dinner solution that shines on the plate without the high price tag. Meatloaf is an attractive dish to prepare because once it’s mixed, the oven does the larger part of the cooking while you prepare the sauce. The combination of savory beef and a thick sweet tomato-based glaze that gets slathered over the top makes for wide eyes and rumbling stomachs. A panade is a mixture of bread or breadcrumbs that is combined with broth or milk to create a paste. The starchy mixture that’s formed and combined with the ground beef coats the proteins and then sets into a gel once cooked. The gel prevents the proteins from binding together too tightly which is the shrinking that you see when meat is cooked. The panade keeps the moisture in the meatloaf while retaining most of its shape. For this recipe, I use flakey panko breadcrumbs, chicken broth, and eggs to make the panade. I let the breadcrumbs soak until most of the moisture gets absorbed, ensuring that the starches hydrate. I prefer the size of the larger Japanese breadcrumbs versus the Italian style, as it creates softer texture in the meatloaf. The eggs also add extra fat to the meatloaf, preventing the meat from drying out, something I’m sure we’ve all tasted before. Using fresh vegetables, aromatics, and pantry ingredients that contain glutamates are the easiest way to naturally enhance the flavor potential of boring ground beef. Sauteing the onions, garlic, and celery lightly browns the produce which enhances the sweetness and taste. Pre-cooking the vegetables guarantees more flavor, even before the meatloaf is cooked. Tomato paste, Parmesan cheese, soy sauce, and Worcestershire are rich in glutamates, molecules that are high in umami and savory notes. These are added to instantly increase the beefy, savory flavors of the ground meat. 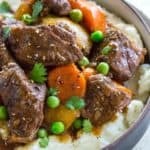 Chopped parsley, salt, pepper, thyme, and paprika are herbs and seasonings that add an earthy taste to the recipe, as the beef by itself is bland. Select ground beef that is about 80 to 85% lean meat. The fat adds flavors and moisture. Use a loaf pan to create a compressed, domed shape so excess juices get collected in the bottom of the pan. Baking at a moderate temperature of 350-degrees gently cooks the meat and prevents drying out. Add the tomato-based glaze at the end of cooking so that the sauce clings to the surface and creates a flavorful sticky crust. One of the highlights of digging into a piece of meatloaf is grabbing an edge with the tangy sauce. Most recipes use a mixture of ketchup and brown sugar, for a barbecue-like flavor. However, I reverse engineered a version to use many of the ingredients that are already in the meatloaf mixture so you don’t have to buy extra stuff. My recipe glaze is a combination of pure maple syrup, tomato paste, apple cider vinegar, salt, pepper, and Worcestershire sauce balance nicely. 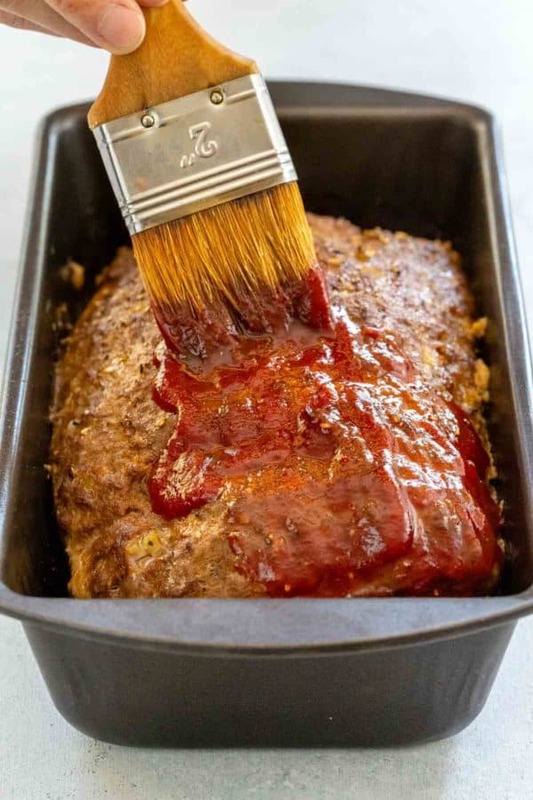 To set the glaze on top of the meatloaf, the glaze is brushed on the surface multiple times then briefly roasted at 500-degrees to quickly thicken the sauce. This process gets repeated a total of three times, to ensure that the glaze is rich and flavorful. When my family comes home to the smell of meatloaf baking in the oven, they can’t wait for it to be ready. I like to serve it with and side of fluffy mashed potatoes, homemade gravy, and crispy green beans. It’s a feast that makes for satisfied and happy eaters! Don’t serve up dry meatloaf or one that doesn’t hold well together. In order to keep the huge ground beef patty together, incorporating a starchy breadcrumb panade, melty cheese, and eggs keeps the meat sliceable. The egg proteins and starches in the bread will solidify as they cook, keeping the moisture from escaping while adding structure to the meatloaf. The best meatloaf recipe topped with a sweet and tangy glaze. Learn how to make a meatloaf from scratch that’s fork-tender and juicy by adding a panade. Set oven rack to the middle position, preheat oven to 350ºF (177ºC). In a medium-sized bowl whisk together eggs and chicken broth. Add breadcrumbs and whisk to combine and allow to absorb all of the moisture. Heat a medium-sized saute pan over medium heat, add olive oil, once hot add garlic then saute until fragrant, 30 seconds. Add onions and celery, saute until tender and the moisture is released and evaporated, 6 minutes. Cool the vegetable mixture before adding to the meatloaf by transferring to a small plate and placing in the refrigerator for 5 minutes. In a large bowl add ground beef, breadcrumb mixture, cooked vegetables, Parmesan cheese, tomato paste, parsley, soy sauce, Worcestershire sauce, paprika, salt, pepper, and thyme. Use hands to gently mix meatloaf ingredients until combined, about 1 minute, being careful not to overmix. Transfer meatloaf mixture to a lightly greased 9-inch by 5-inch loaf pan. Press meatloaf into the bottom and sides of the pan, then use hands to make a smooth and slightly domed surface. Bake in the oven until the internal temperature reaches 135 to 140ºF (57 to 60ºC), about 45 to 55 minutes. Carefully remove meatloaf from the oven and carefully drain off excess juices from the bottom of the pan. To make the glaze, preheat oven to 500ºF (260ºC). 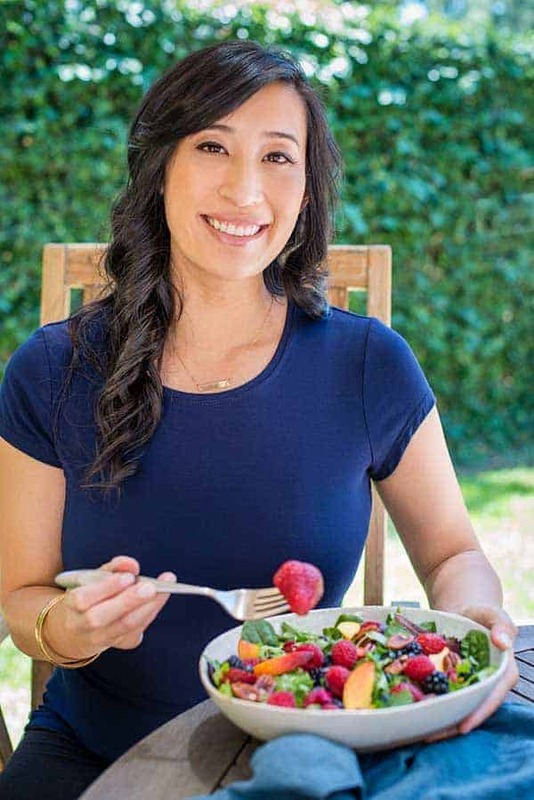 In a small bowl whisk together glaze ingredients; maple syrup, 1/4 cup tomato paste, apple cider vinegar, 1/2 teaspoon salt, 1/4 teaspoon pepper, and 1/2 teaspoon Worcestershire sauce. Use a brush or spoon to spread an even layer of glaze on the top and sides of the meatloaf, bake for 3 minutes. Brush a second layer of glaze, bake for 3 minutes. Brush a third and final layer of glaze, bake until sauce is lightly browned and bubbly, 3 to 5 minutes. Allow meatloaf to cool for 15 minutes before removing from pan. Once slightly cooled, cut the meatloaf into even sized slices. Serve meatloaf with extra glaze on the side. Hi, I was wondering if I omit the cheese will it make a difference on the texture? I don’t like cheese at all, yes I know I’m weird, but I just don’t, or can it be replaced with something else? Thanks! Your meat loaf recipe looks much more interesting that the one I have been using. I do not plan you use the cheese because I don’t mix meat with dairy. I’m going to be using Gluten Free Panko. I will let you know how we enjoyed it. I can’t wait to hear how it turns out Phyllis! I was planning to make meat loaf and stew for meals in the week ahead. 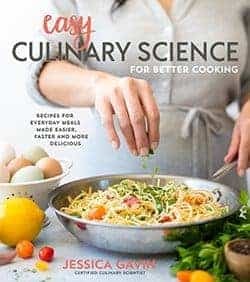 Thanks for another great recipe with all the science explained to make it so much fun. I printed a copy for myself and one to give my son when he comes at Christmas. We have some of the recipes from your cook book planned to enjoy. I bet the little ones are getting so excited for Christmas. I have it baking in the oven right now! I generally use a little syrup and ketchup for the top and feel the tomato paste will be better and less sugar. 27 grams of fat per serving. That is a lot of fat. In lieu of the ground beef, if I wanted to use 93% lean ground turkey, what modifications would I need to make to your recipe? Hi Terry- I would substitute the turkey 1:1 with the ground beef to test how the texture would be, I think the panade should help keep the turkey moist. Let me know how it turns out! This meatloaf recipe looks sooo good! I know my wife would love this. I’ll probably give this a try on the weekend, thank you! Please let me know what the family thinks, I’d love to hear your feedback Bryan! This meatloaf was the best I’ve ever made! My fiance wrote down “Jessica Gavin’s meatloaf” so I remember to cook it in the future. Yummy! Haha, you’re comment totally made my day Stephanie! Cheers to a lifelong of happiness, love, and meatloaf! I made your meatloaf this evening and it was absolutely the best tasting meatloaf my husband and I have ever eaten. 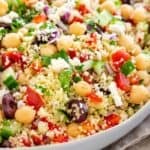 Thank you so much for sharing this delicious recipe, it will be my go too from now on! Whoo hoo! So happy to hear that you’re family enjoyed the recipe Glenda. Hi Paula- Thank you for the feedback! Definitely feel free to adjust the breadcrumb level to your liking. Just curious, was all of the liquid absorbed into the breadcrumb crumb when making the panade? Sometimes if there are some dry spots, it can taste “bready”. I have made it twice now, excellent recipe. We made this last night, and it was DELICIOUS! We added a touch of smoked paprika to the sauce, which was yummy. My four year old ate every bite (that never happens)!! We were wondering if there was a way to make the sauce a teeny bit less sweet. Maybe reduce the syrup and add more tomato paste? Yay! That is such a mom win Kim 🙂 I would say keep the tomato paste the same. Add in 2 tablespoons of maple syrup, then keep increasing until you get the sweetness level you want. Maybe 1/4 cup might be good? I made your meatloaf recipe Sunday. My wife said ,don’t put celery in it,[i put celery in it] then she said don’t put the glaze on my half, [i put the glaze on all of it]. When we had it for supper she said I apologize Richard, this is the best meatloaf I have ever had! She sent 4 people to your web page. Delicious! I made your meatloaf and it was great. I did cut the burger to 1lb and added 1 lb ground pork. The whole family loved it. My two year old asked me “daddy, is this a meatball?” I told him yes and he ate the whole serving. The extremely picky seven and five year olds ate it too. This recipe was printed, placed in the sleeve and added to the cookbook ( like many others you have shared). Thanks again. I’m thinking about trying this recipe tonight, but 2lbs of ground beef seems like a lot for 2 people. I have 1.25lbs in the refrigerator right now. Would you recommend simply just halving the ingredients for that much beef? Yes you could adjust the levels and check sooner for doneness. The meatloaf will be pretty flat unless you have a smaller pan. Hi jess! My name is Jessica. I made your amazing meatloaf and my husband and kids begged me for more! Thank you so much for the recipe on line. Best meatloaf I’ve had in a long time. Glaze was fabulous! I just prepared the loaf and followed your recipe to a tee. Serving it to the family tonight. Can’t wait to hear their feedback. I’m excited about this recipe because it’s got cheese in it, I never put cheese in my meatloaf before! I prepared this meatloaf for my family and my daughter’s niece tonight and they all raved about it! Everyone loved it, including me! I was a little late getting it on the table; so I didn’t cool it enough and it fell apart a little; but that didn’t ruin it at all! This is by far the BEST recipe for meatloaf. I shared it on my Facebook page! My daughter’s niece is 10 and said she loved the glaze because it was sweet!My Mom always just put ketchup on the top, as did I; but this glaze is so much better! Thank you for this recipe.. it’s Amazing! This is the best meatloaf recipe I have EVER made. My husband and friends LOVED it. I did a little less cheese and did GF bread instead of Panko. Very delicious. Thank you so much. So moist and flavorful. Its a definite to drain the meatloaf before adding the glaze. Thank you so much. This is the first time I could actually slice my meatloaf without it falling apart and it tasted fantastic! That saying a lot because my family previously have refused to eat any meatloaf but they really liked this one. Thanks for this recipe. I used 1 LB.of ground beef and 1/2 pound of ground pork. I just cut everything else in 1/2. I don’t own a loaf pan so I made it rounded and mounded it in an 8×8 inch baking pan. It was the best meatloaf ever! Sliced nicely, moist, full of juicy flavor! I will probably reduce the amount of maple syrup as I prefer savory to sweet. I’ll definitely make this again! I’ve never had meatloaf before so obviously I’ve never cooked it. Tonight I will be doing both, with this recipe! Wish me luck ladies. Do you think that the concept would work with oats instead of bread crumbs? Uhmmmm….wow. My boyfriend and I just had this meatloaf for Easter dinner and its amazing. Geeeeeze….. The only thing I did different was put 1/2 the recommended parm. If it’s any better with all the parm, I dont know if i could sit still and eat it. Wow! Thx for the great recipe! Haha, I’ll swing by for dessert too! So thrilled to hear that you guys enjoyed the meatloaf.